Shoreline Area News: FEET Matter! 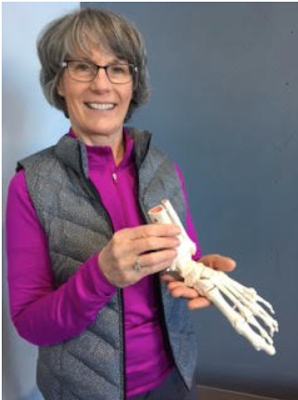 The nimble feet of the Kellogg Middle School Cross Country runners are well taken care of by Lake Forest Park resident and Certified Strength and Condition Specialist, Bronsa Swint. She educates teens and parents about fitness through her role as a Cross Country Coach. 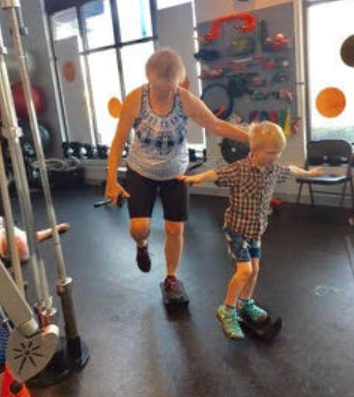 She’s also the owner of “On The Ball Fitness” in Lake City and functions as a Certified Personal Trainer for any age. Through her over 15 years of cross country coaching, personal training experiences, and her own research, she has taken a special interest in the care and health of feet. 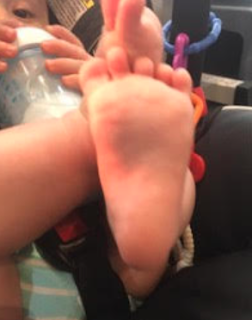 Bronsa tells us, “We have disregarded the importance of the foot’s role in balance and the critical nature of those muscles that fire up our bodies. For instance, the foot’s nerve endings trigger muscles that fire up our hips and glutes. Our feet support our entire body weight and keep us moving like nature intended. In 1884, Mark Twain wrote the story of Huckleberry Finn who as an orphan did not wear any shoes, so his feet adapted to a healthy growth pattern, and the bottom of his feet became hardened into natural foot soles. When he did put on a pair of shoes, he did not like them at all as most footwear compresses our feet in an unnatural way. We evolved with our feet touching and feeling the earth with each step. There were no automobiles or buses back then, so we walked more and our feet became stronger. As we have become a more sedentary society, we need to be reminded that for just average foot health, we should move our feet for a minimum of 10,000 steps per day or about five miles. We used to wear flatter athletic shoes that did not elevate the foot into unnatural positions such as what high heels do. The idea of putting a higher heel on a sport and recreation shoe was a design trend that Nike started and it was not based in science. According to health experts, this trend can, and does, change the natural foot strength and health outcomes, and did nothing to prevent runner injuries. So what did the athletic shoes industry do – they added even more elevation and cushion! After famous athletic endorsements, this has become the norm, even though running injuries have not decreased. Then we need more arch support and orthotics to help fix design trends that helped weaken our feet in the first place! Information meetings for parents are well-received when they do get it from a local expert like Bronsa. “I hold up a large foot model and deliver a lot of information in a short time. Everyone, and especially kids, need to be wearing shoes that mimic the natural shape of the foot. "We have a lot of shoes that shape the foot into a triangle, even for kid's shoes. A foot friendly shoe will have a wide toe box and preferred zero drop or minimal heel and flexible soles that should bend easily in the very middle of the shoe, not just near the heel. Keep in mind that prior to the 1970’s, the required physical education shoe in school was a flat Keds shoe. They have been around since 1916 and were perfectly suitable for all sports. They are still a good choice as are simply wearing “water socks” or for more sole but round toes, Crocs can also work well, says Bronsa. Even those in orthotics are being helped with minimalist type footwear. 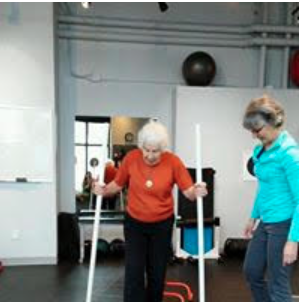 Ten years ago, now 71-year old Bonnie had a foot injury that changed her gait and she was put in orthotics. After some fitness work, she was able to get out of orthotics and eventually into minimalist shoes. Here are some quick tips to strengthen your feet. Go barefoot as much as possible to utilize and awaken muscles and nerves and to help strengthen feet. Start slowly with going barefoot if it’s new to you. Keep a bowl of small rubber balls right near your computer or a tennis ball to roll under your feet. Apply gentle pressure and roll back and forth including the arch. Start gradually and work yourself up to about two minutes per foot per day. If you want healthy, strong Huck Finn feet to develop – it’s best to start young - but any age is a good one when it comes to changing habits into healthier ones! The human body is a very complex system of working parts and they all need to integrate properly to best perform. Bronsa helps her clients experience the joy of becoming more fit with small group sessions and more personally tailored ones as well. She is an enthusiastic, kind, yet 'unsympathetic to excuses' professional. She always believes there is an answer to any fitness issue, and always searches for it in a holistic way. Bronsa’s Facebook page has lots of great health related information. pain. My plantar fasciitis pain went away completely. It was great to find Bronsa who believes as I do to take classes with to become more fit all over!